Greece has become one of the prime holiday destinations in the world. I’d like to point out that travelers should pack the right outfits for summer, fall or autumn, winter and spring when visiting Greece (especially for Athens and Santorini which notorious for being extremely hot during summer). Summer is a popular time of the year to travel to Greece, especially for those looking to head to the beach. However, it may take some time for you to put together the right outfits that you would like to wear. You should take some time to analyze the recommendations of fashion experts, who may be able to offer some advice on what to wear in Greece in summer, fall, winter an spring. 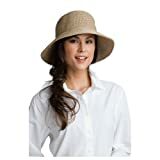 Below are some of the fashion packing tips in which you’ll find lots of comfortable and fashionable travel outfits to choose from. They are all easy to pack, affordable and are of good quality. During my recent Greek summer vacation, I noted that dresses are certainly becoming trendier thanks to the many creative styles that are out in the market. Short dress and Maxi dress are the perfect outfits for girls and women heading to Athens and Santorini (the cultural hubs of the country). On my holiday, I mainly wore dresses such as the fitted and loose ones, as it was extremely hot and not only that it also perfectly matched with all the picturesque architecture. Most people will appreciate that they can shop for some of the newest styles in the outlet stores located in Athens, but I also suggest that you purchase some items in advance so you don’t need to worry once you get there. Here are some of the dresses I wore while I was in Greece during my holiday this summer and these dresses can also be purchased through here. These are Dress 1, which is recommended for Greece as it’s 100% Polyester, machine washable and it has ruffle skirt and cross back straps allowing you to feel more of the breeze on your skin. Wearing this dress also allows you to get some tanning in while walking around Athens, Mykonos and Santorini as your arms, back and chest will be exposed to the sun. Dress 2 is a fitted type of dress with neutral and black colour combinations. 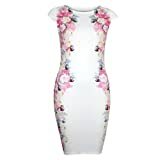 Its a slimming fitted bodycon with cotton blends. You can simply wear this dress during the day while soaking in the sun. Dress 3 and Dress 4 are beautiful floral dresses perfect for summer in exotic Greece. Purchase these dresses if you want to look fabulous in a nice fitted, soft and elegant floral dress. These can easily be paired with any walking shoes such as flat sandals, ballet shoes and ecco shoes. And of course you can also wear them at night with your high heels while dining at a romantic Greek restaurant. Dress 5 is a simple sleeveless black Maxi Dress with 50% polyester, 38% cotton and 12% rayon. This maxi dress is easy to fold and when worn allows you to feel the cool summer breeze through your body, while sightseeing. Dress 6 is another maxi dress well suited for Santorini weather. This strapless chevron maxi dress is very comfortable, stretchy and it has a soft rayon material. It’s 54 inches in length and these are also available in different colours including turquoise and coral. Dress 7 is such a beautiful bright peach dress by Dolce Vita Women’s Caliban. This dress is made of 100% polyester with open back string tie and V neckline front with dotted overlay. This dotted overlay peach dress goes perfectly well while standing in the Acropolis and the white and colorful pastel architecture of Santorini. Not only does this dress look fashionable but it’s also thin, airy and easy to pack in your carry on luggage. When I travel, I always try to match my outfit with the destination I am visiting for great photos and videos. I was wearing a loose dress, brown sandal and a sun hat in Oia-Santorini, Greece. I was wearing my green floral fitted dress that I purchased from Amazon. I also wore my Ecco sandal as shown in this picture. This is a patterned dress that I purchased from Amazon in which I wore several times in Europe especially Athens. I also paired this dress with my Ecco shoes as it was highly required of me in order to get to the top of the Acropolis in Athens. I highly recommend that you shop for some stylish new blouses or tops that you can pack before you go on a holiday to Greece. This could actually be a great choice to improve your look. You’ll appreciate that there are blouses made from light textures, which are breathable. This could be the perfect choice for the hot and warm weather especially in Greece. Here are some of the best blouses or tops you could choose from to wear in Greece. These could be a great choice if you want to mix and match the look you desire. These tops are easy to match with pants, shorts and skirts and no doubt it will also match with any shoes. Top 1 is a Mango Women’s Double-Layer top chiffon with spaghetti straps, v-neck and pleated detail at front. It’s made of 100% polyester lining, easy to wash, very light, fashionable and most of all comfortable to wear in a hot and sunny weather. Top 2 is a Meilaier Women’s Fashion Backless Strap Tank Top mint green color perfect for summer in beautiful Greece. This top is absolutely gorgeous to match it with short denim pants ready to go sightseeing in Greece. Wearing light pants and short pants in Greece are acceptabe especially during the summer season, as Greece can get very hot in June, July, August and September. It is important to pack the right types of pants when holidaying in Greece in summer. Most women would want to find out how they can improve their appearance in just a short amount of time as well. Therefore, choosing stylish pants will help women follow fashion trends and create a foundation for their look. Here are some of the best pants to wear while on a holiday in Greece. Pants 1 is a dinamit printed soft pants with elastic waistband, drawstring and front pockets. It’s made of 100% polyester, very light, soft and easy to pack in your carry on luggage. This soft pants is perfect for traveling and sightseeing as it’s comfortable and fashionable. It can easily be paired with any tank tops. Pants 2 is a hudson hampton denim short pants made of 64% tencel, 34% cotton and 2% elastine. I highly recommend packing a pair of short pants when traveling around Greece, as this country is extremely hot in summer especially Athens. You need to be able to wear short pants with your tank top while sightseeing and even walking up to the Acropolis. I sincerely wish that you find this post useful. There are lots of wonderful sights to see in Greece and it is important that you look fabulous and comfortable at the same time whilst exploring. Granted you will find many great deals on clothing, shoes and bags (leather goods are especially good purchases) in Greece, it’s also great if you can look good doing it. Planning on going to Greece soon? Here are some of the best hotels to stay in Santorini (all of which are the ones where we stayed at). They are super affordable, comfortable, clean, spacious and are located in the safest area with easy access to restaurants, highlights, beaches, Fira and Oia. Celestia Grand provides luxurious villas with private pools and hot tubs situated just on the edge of Caldera cliff. The hotel offers spectacular views of the Aegean Sea and the Volcano. You’ll also get to view cruise boats passing by the ocean. I can’t ask for more about this hotel. It’s cheap but it has its luxurious atmosphere, decor and the whole presentation. It’s beautifully designed with fresh white paint, fresh and minimal decoration making it look super chic and stylish. This hotel offers various amenities and facilities that you need throughout your stay. This includes free Wi-fi, air-conditioned, mini fridge, coffee maker, dining area, free toiletries, a la carte restaurant and many more. The location is also perfect, as it’s located in the centre of lively Fira, which is just 2.5 km away from all the bustling restaurants and nightlife options. If you plan to buy some groceries, the supermarket is only 300 metres away. Cars and quad bike rentals are also just nearby, which allows you to park for free around the premises. Find out here for more information, reviews and the best Discount Rates for today. Petit Palace Suites is another cheap or affordable hotel offering its luxurious style and atmosphere, while it sits just on the edge of the Caldera at Agia Irini area. This luxurious hotel comes with spectacular views of volcano, the ocean (150 metres above the sea) as well as with pools. It also offers wonderful spacious rooms with designer furniture and decor. It’s quite new as if it has just been recently renovated. It definitely has an elegant feel and style once you enter this hotel. This hotel certainly offers all your requirements including essential amenities and facilities that you require throughout your stay. It also has free Wi-fi, satellite flat screen TV, breakfast, bar, mini fridge and many more. You won’t be disappointed as it’s conveniently located just 2 km away from Fira, where you’ll be able to find and choose a variety of Greek restaurants, bars and shops. There’s also plenty of parking on site. Read more information and review here with the best Value Deals for today. Located exactly in the central Fira village. Easy access to everything such as restaurants, monuments, highlights, shops, buses, supermarket and many more. The hotel sits at the top of Fira overlooking the spectacular view of the ocean volcano. It offers affordable and luxurious atmosphere along with comfortable beds and all the things you need for your stay. Find out more review and get your Discount Rates for today. Just a short 5 minutes walk then you’ll be taken right in the centre of Fira village. Car rentals and quad bikes are within few metres away. Supermarkets, restaurants and pharmacy are also within easy access. All amenities and facilities that you require throughout your stay will be provided including free wi-fi and many more. Read more information and review here and get the best Discount Rates for today. Read more reviews, information and get the Best Discount Rates for today! On top Oia! Find out more information, reviews & the best Value Deals for today! I love dresses on summer vacation spots. Great picks. Thanks. This is so informative. I am heading to Santorini Greece next year around about late April or early May 2015. Do you think the weather in these months will be too hot? Should I be wearing summer clothes? I would love to know your suggestions. Many thanks. Hi Angela, the temperatures around May in Santorini are quite high and the chance of rain is quite low and it’s also relatively quiet. May is actually a good time to visit Santorini as it’s not too extremely hot. I was there during the first week of July for 5 days and it was extremely hot. Yes you should be able to wear your summer outfits, as the average temperature will be 20-22 C. But be informed that it can get a bit chilly at night so I suggest you to carry some warm cardigans or sweater to keep you warm. Have fun.